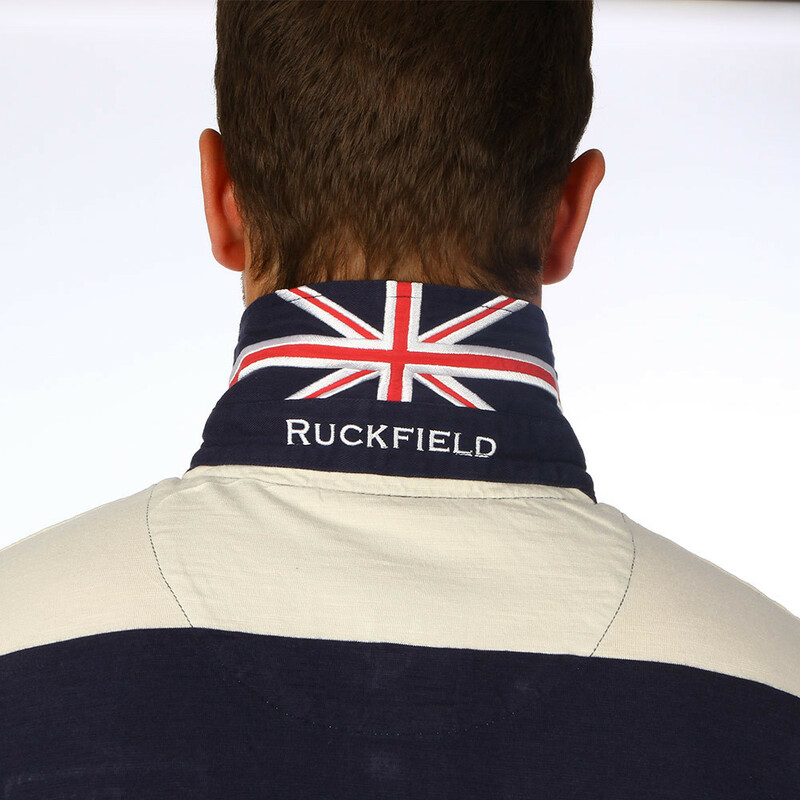 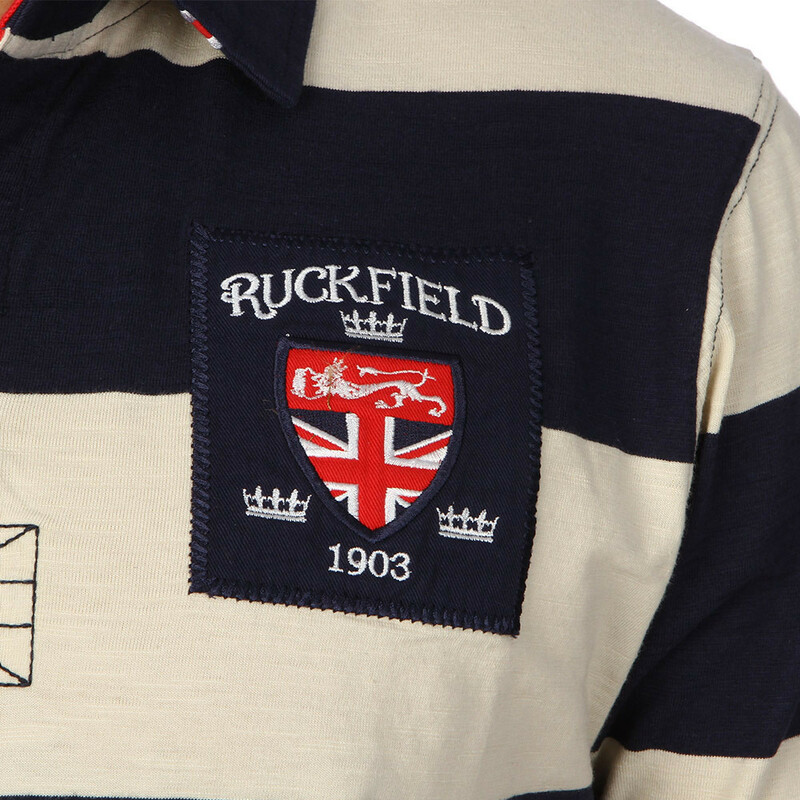 Ruckfield off-white and navy blue striped Great Britain polo shirt in slubbed cotton. 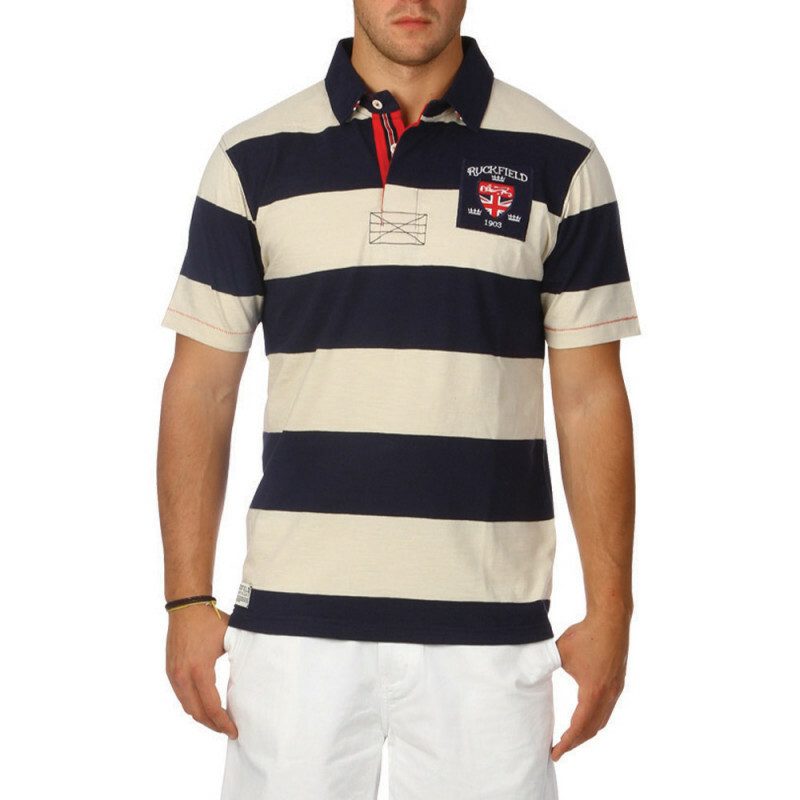 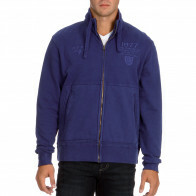 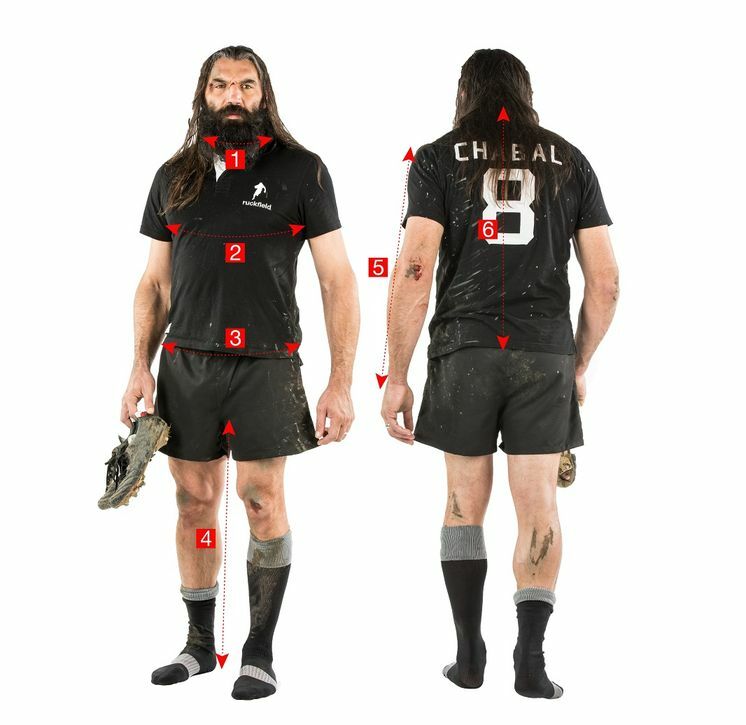 Oxford badge on the chest with the flag embroidered on the inside collar. This product is available in large sizes up to 4XL. 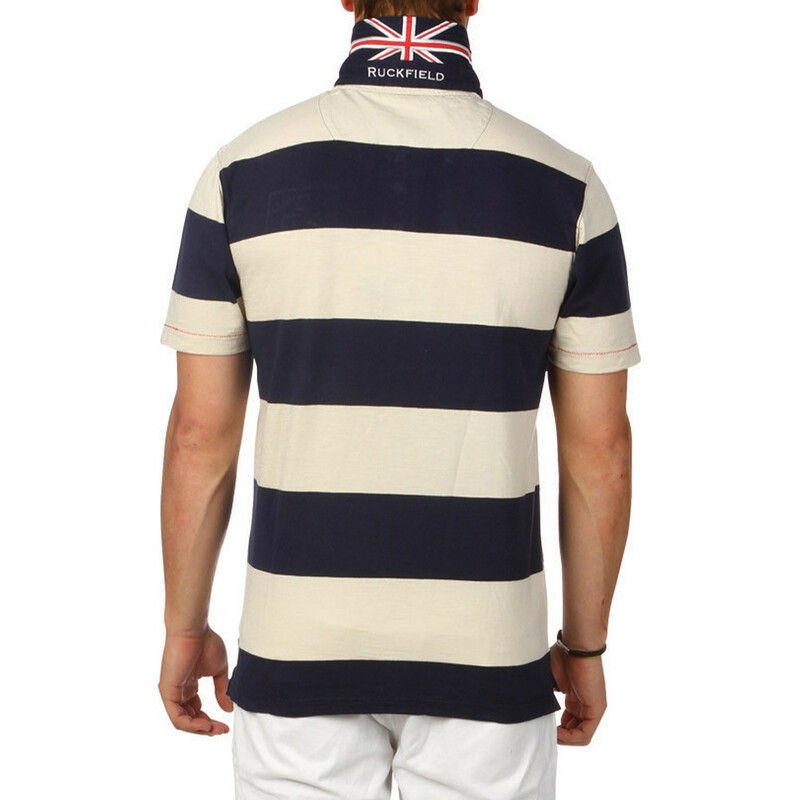 Wear this polo shirt for a guaranteed British look.